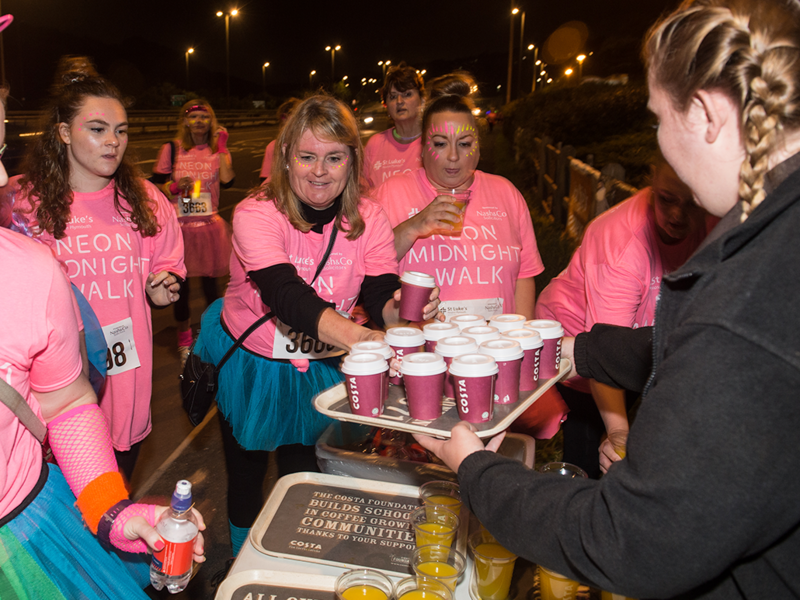 In just under a month, one of St Luke’s flagship events – our popular Neon Midnight Walk – will see hundreds of ladies band together to light up the night as they stride the streets in aid of our charity. We need your help to ensure it’s a night to remember! Could you give a few hours of your time to volunteer at the event on the night of Saturday 21 July? The atmosphere promises to be electric at what is undoubtedly the city’s biggest girls’ night out. You would need to be available to be at the event village in the city centre at 7pm, and can help in a variety of roles – by marshalling, leading the walkers and supporting in the start/finish area. Our volunteers are a key part of our events and we simply couldn’t do what we do without them. If you’d like to help, please contact Events Fundraiser Claire Luckhurst at cluckhurst@stlukes-hospice.org.uk or on 01752 964416 to register your interest.